When it comes to starting your own blogging journey the amount of information thrown at you is extremely overwhelming! 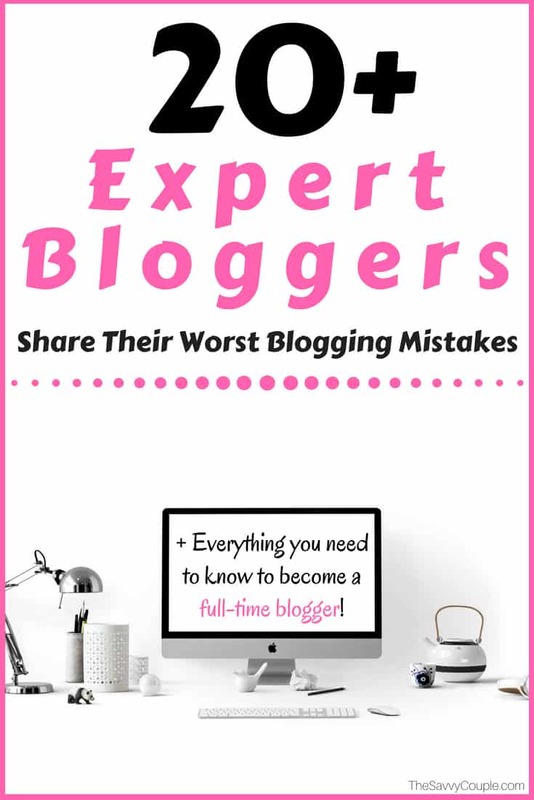 Now after making every blogging mistake in the book during our two-year journey, we wanted to help other bloggers avoid the most costly blogging mistakes that will hold you back from success. We interviewed close to twenty different full-time bloggers making at least $5,000 per month from their blog. We asked them the simple question, “What is the biggest blogging mistake you have made on your journey to success”? The answers were incredible and are filled with so much value and knowledge! I have always enjoyed reading an article with LOTS of “golden nuggets” you can take away and implement immediately to grow our blog. This roundup has a bunch of them! So if you are trying to become a full-time blogger, increase your income, grow your email list, create your own products, or just learn from some of the best, you are in the right place! Here are the BIGGEST blogging mistakes you should avoid at all costs. P.S. if you are looking for a blogging Facebook group to join with the sole purpose of helping you grow your blog into a full-time income look no further! Join us and many of the bloggers listed below in our very own private group Blogging with Purpose. Comment below so we can check it out! Rob & Melissa run the awesome blog Flea Market Flippers where they teach their readers the step-by-step process on how to flip products for profit. They have had some HUGE flips netting them over $10,000 on a single flip! “When we started blogging, we were under the false expectation that it would be a fast process. We had friends that had quick success ($1 Million in 13 months) so we thought after our first 6 months we were a failure and we quit. Emma owns the blog Money Can Buy Me Happiness where she talks about her quest for financial freedom so she can get the most out of life while traveling more with her family. “My biggest mistake was writing what I wanted to write and then wondering why I wasn’t getting pageviews. I spent an entire year writing personal diary entry posts and struggling to get traffic. It wasn’t until I discovered Pinterest and SEO and saw what was popular on those platforms that I realized I needed to write what people were searching for, in order to get traffic. Bryn is the owner of I Should Have Said, a website solely created to help people with comebacks for verbal bullies and help in finding the right words in difficult situations. So yes you can make money on basically any topic with a blog. “The biggest mistake I made as a new blogger was not joining any blogger Facebook groups. I have learned more in some of the closed Facebook groups than taking some expensive blogging courses. You can find out what’s working now for Pinterest or traffic growth for example. Elizabeth runs her awesome blog Elizabeth-Harrin.com to help small business owners learn how to leverage a blog without sending their customers to sleep. “Tripwires! I didn’t start my blog to sell products, but my income took a more profitable turn in October 2017 when I introduced a tripwire on to my industry blog, GirlsGuideToPM.com. It converts at 44% – I don’t compare myself to others but that feels like a good rate to me. It’s low-priced, but it’s a steady trickle of income that I missed out on for years. Literally years: I have had that blog since 2006 and started building an email list soon after. Wait The Savvy Couple, who are they? Yours truly of course! Over the past year of blogging full-time, I have learned more than I did my entire 4 years of college. Seriously, I feel like I have gone back to school to get another degree. We have invested close to $10,000 in online courses and training! Our favorite blogging courses are listed below. It sounds like a lot of money (which it totally is), but it was all totally worth it as we have now had months where we made over $10,000+ in a single month. The first big blogging mistake we made was not investing money back into our blog via training, FB ads, coaching, courses, software, etc. is a must if you want to succeed. When we started our blog we started it as a hobby/side hustle. Not knowing a single thing about blogging we kind of just jumped in with no game plan. Over the first nine months of us blogging part-time, we only made around $50. If you are blogging to make money, treat it like a business from day one. Start with your end goal and work your way back from there to create a business plan and revenue model. The second big blogging mistake we made was not taking our email list serious enough. Honestly, it wasn’t until we received blog coaching from Sarah Titus that we learned just how important an email list is for your blog. Over the last two months after focusing most of our attention on our email list, we have been able to double it using ConvertKit’s many incredible features. We have also seen an improvement in our affiliate sales, page views, and have created a MUCH stronger relationship with our readers. We highly recommend using ConvertKit for your email marketing software. Almost all professional bloggers use this email marketing platform. If you are interested you can start your FREE 14-day trial today. Our good blogging friend Alexis runs a personal finance meets healthy living website FitNancials. She has some awesome content on making money, staying fit, and saving money. “Learn that this is your journey and no one else’s. It is so easy to compare yourself to other bloggers, especially when there are blog income reports all over the internet. You may see a new blogger make $100 in their first month and you may not see income for an entire year. That’s okay! 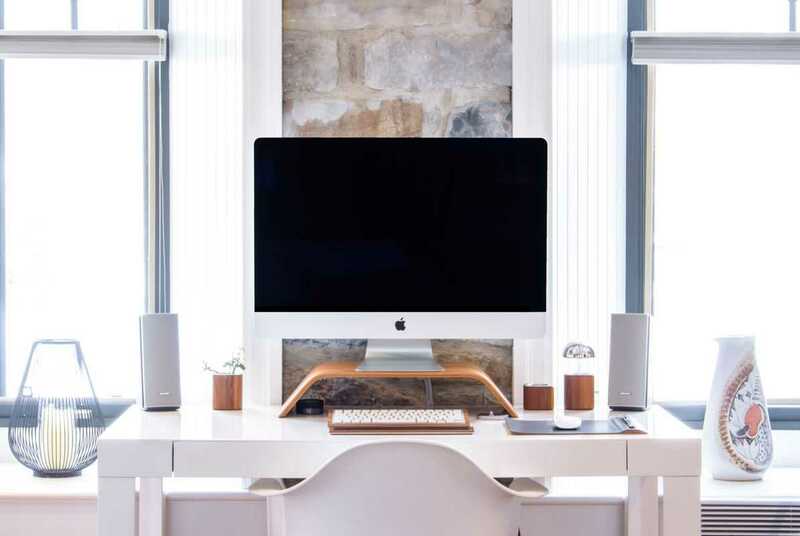 Debbie has been on the blogging scene for quite some time with her blog The Flooring Girl where she talks about everything you need to know about flooring. “I am thankful that I started learning and doing SEO from Day 1. But, I regret not realizing that Pinterest was such a gold mine for traffic. The stupid thing is that I have been a member of Pinterest since 2012, but didn’t understand it. Jim runs the popular personal finance blog Wallet Hacks where he helps others learn his philosophies, strategies, and methods he used to become financially independent. “Have fun and don’t be afraid to make mistakes. When I first started, I felt everything had to be perfect. I would agonize over little things and it would almost paralyze me. Then I realized that nothing I was producing was ever going to be perfect and that I could easily revise, update, and refresh my articles whenever I wanted. I could be wrong and that’s OK because I could fix it pretty easily. Russell & Maleah run the awesome site Stock Millionaires. If you are looking to start investing in the stock market go check out their site. “Our blogging journey started back in 2014. We made three big mistakes that we really regret! The first mistake that we made was to not getting involved in the blogging communities on Facebook. Last year we joined the popular Facebook groups for bloggers and we have met so many wonderful people and learned so much from them. Blogging can be a very lonely occupation and it is important to get involved with other bloggers to share ideas and help promote each other. The second mistake was that we ignored many of the best sources of traffic, including Pinterest and organic traffic! Our only traffic was from spamming twitter! Looking back this was a horrendous strategy. We got started with SEO and Pinterest and our traffic and income has flourished. Caroline is the owner of CarolineVencil.com where she helps others save money like crazy and learn how to make money online. “I wish I would’ve started making my own products much sooner! I had this crippling limiting belief that everyone had already made everything so why should I bother… plus, who would ever buy something that I was selling? Natalie runs her personal blog NatalieBacon.com where she helps others design their dream life. She is a true inspiration and an incredible leader in her awesome movement to take full control of your own life. “The biggest blogging lesson I’ve learned and wish I knew sooner is that blogs don’t make money businesses do. What this means practically is I needed to have a specific monetization strategy much sooner than I did. I would’ve saved 1-2 years if I had figured out what I was selling and how I was selling it sooner. As soon as I learned direct response marketing and started focusing on who I was serving, my income tripled. Tracie was one of the first big-time bloggers to give us guidance in our blogging journey. She runs the very popular blog Penny Pinchin Mom where she talks everything personal finance, recipes, and family. “If I had it to do over I would have spent more time learning SEO from the beginning, rather than focusing on social media. While algorithms can change on Google, they are usually less hostile and detrimental. I have been through Facebook and Pinterest changes and each time, it is a blow to traffic. Traffic is important no matter your product or site, so you need to get eyes on what you are promoting. Greg & Holly run the awesome travel blog Club Thrifty. If you are looking for a travel blog to follow look no further. They talk about budget-friendly vacations, credit cards and lots of travel hacking. “The biggest lesson I’ve learned about blogging over the years is that the majority of blog “experts” out there are full of crap! Most of the people making real money are quietly working with their heads down, not up on stage giving up all their tips. You have to take all the blogging advice out there with a grain of salt and find your own way if you want to build a sustainable blogging career. There are tons of gimmicks out there and ways to “get quick traffic” that won’t really leave you ahead. Jeff runs the popular and fast-growing personal finance blog Dollar Sprout with his business partner Ben Huber. We have known them for some time and over the next couple of years, they WILL be one of the biggest personal finance blogs around. They are absolute savages when it comes to hustling! “The biggest hurdle to our success was refusing to study others who were already successfully doing what we wanted to do. We had a tendency to operate in a vacuum, where we were basically trying to reinvent the wheel. We rarely collaborated (or even communicated) with other bloggers, and that was a huge mistake!! Also, I think it’s really important to be very intentional about everything you do with your blog. “Suzi is a mother of three beautiful children and the genius blogger behind Start a Mom Blog. She helps moms from all walks of life learn how to make money online. Suzi has a blast doing Facebook lives once a week from her Facebook page. The biggest blogging mistake I make daily is having a negative attitude. When I feel like the mountain is too big to climb, or my work will never be done I allow myself to spiral downwards. Some days it is extremely hard to blog, even to just answer a few emails. I have three little ones at home with me and being mom and blogging in the margins of the day is hard. But I contentiously remind myself, that it.is.possible! Progress is progress, no matter how small. I have to kick myself a bit and change my perspective. Bobby runs the awesome personal finance blog Millennial Money Man and was one of the bloggers that really inspired us to start our own blog. He has been an awesome mentor and friend to us along our journey. Recently, Bobby started another business Laptop Empires with his business partner Mike Yanda where they had a $150,000+ launch of their course Facebook Side Hustle. Their Laptop Empires podcast is absolutely LIT and all bloggers need to be listening to it! “This might be a little bit different than some of the responses here, but I actually feel really good about how I started out. I didn’t really care what you were “supposed” to do with your blog and wrote content that I felt really good about. I was having fun, and realistically, M$M grew very quickly (for a new blog). I think that I screwed up pretty badly in year two of my blogging journey, but it’s honestly something that I see a lot of bloggers mess up in year one. I started to care too much about what other people thought about my content, and I lost what made my site different by chasing money. My content got stale and I wasn’t having fun anymore. Writing listicles and boring stuff to rank in Google is my least favorite content to write, but I kept doing it because I wanted to make more money. That’s exactly why I didn’t have any real growth for more than a year. Now, I’ve gotten back to writing the things that I’m passionate about and ignoring a lot of the “rules”…and my audience and income have grown exponentially in 2018. When it comes to starting a blog there is no other name that comes up more than our good friend Michelle. She runs her outstanding personal finance blog Making Sense of Cents and has been absolutely killing it for years! She was traveling full-time in an RV and recently moved onto the full-time sailing life with her husband Wes. To say they have not been a huge inspiration in our lives would be a lie. “The main thing I’m always struggling with is a work-life balance. There is almost ALWAYS something that needs to be done when it comes to blogging and every blogger, even new ones, need to realize that managing a good work-life balance is important. Nearly every single day, I will receive an email from a blogger saying that they are stressed about what to do next and what tips I have for what they should be focusing on. To be completely honest, you need to be able to focus on tons of things, but making them all work together to your advantage! Alex & Lauren are the two online blogging business superstars that own both Create & Go and Avocadu. They both love to travel and have a passion for helping others bloggers reach the six-figure club with their incredible course Six Figure Blogger. Running a successful blog (or business) isn’t about you. It’s about your people. I think many bloggers don’t realize this because most people start a blog for personal reasons on the topics that THEY are interested in. Which is what you should do, BUT you need to make the focus on what your readers are most interested in and how you can help them. Alex and I were so focused on the things that WE were most interested in when we started our first blog that for many months, we failed to see that people really didn’t care about what we were interested in. They weren’t reading our articles or purchasing the products that we worked very hard to create. It was only when we took a step back and went back to the drawing board with a new blog and different types of content that we were able to test out what people were responding best to on our blog. It was only through this trial and error process and really LISTENING to our readers through comments, emails, etc. that we were able to get our blog on the track to serious traffic and monetization. Sarah is the genius blogger and business owner behind her empire SarahTitus.com. Words cannot explain how much she has not only impacted our own personal blogging business, but also our personal lives. She is one of the most genuine, kind, loving, caring, and giving bloggers on the internet. We were lucky enough to win two weeks of coaching with her. We fully believe it was divine intervention and just what we needed at the time. Sarah runs two incredible Shopify stores. Her first is an ultra-successful printables shop and her second is her stock photos. “The biggest lesson I’ve learned during my blogging journey is that numbers are just numbers. You can’t really compare one blogger to another. For example, I made over $450,000 last month. I make millions a year. When I compare numbers to say Pat Flynn, who made $167,553 last month, I make more. Does that mean I’m better than him? No way! My traffic is way lower than his. I have not been blogging nearly as long as him, so he’s more stable. You can’t compare yourself with others at all. Some bloggers in the blogging world also fluff up their numbers. They say they have more page views than they do by doubling their Google Analytics coding or buying pageviews. It’s all a mad dash to the top, a rat race in the blogging world, and so many bloggers get caught up in it. Rather than comparing yourself to others, whether in pageviews, income, social media stats, etc., keep your eyes on your own page. How someone else is attaining success probably won’t work for you. Making Sense of Affiliate Marketing – By far our favorite course and the first course we ever purchased. If you are struggling to drive traffic with Pinterest and actually make money from your blog it’s time to invest in this course. Michelle over at Making Sense of Cents teaches you everything you need to know about monetizing your blog. She makes over $100k per month from her blog so she knows what she is talking about =). Pinterest Traffic Avalanche – We struggled for months trying to learn how to make beautiful looking Pinterest pins that actually drove traffic to our blog. After taking this course everything changed for our Pinterest strategy. We started creating viral pins that drove tens of thousands of page views to our site each month. Facebook Ads For Bloggers– An awesome course created by Bobby Hoyt from Millennial Money Man. Bobby just relaunched this course and made is absolutely packed full of everything you could possibly need to know about utilizing Facebook ads to grow your blog extremely fast. Stupid Simple SEO – If you are a blogging you have probably ignored SEO (search engine optimization) or roll your eyes every time you hear someone mention it. We certainly did! But if you are blogging for the long haul learning how to drive free organic traffic from Google is a must. Social media platforms change their algorithms so much it far too dangerous to put all your eggs in one basket. Worth every single penny for more advanced bloggers or new bloggers wanting to get a jump start on SEO. Flourish With Facebook Ads – Another excellent Facebook ads course designed specifically for bloggers. Monica is an absolute expert in this field and goes through every step you need to succeed in using Facebook ads to grow your blog. She makes Facebooks ads very simple to understand and start using right away. We have had a handful of traffic campaigns running at or below $0.02 per click! 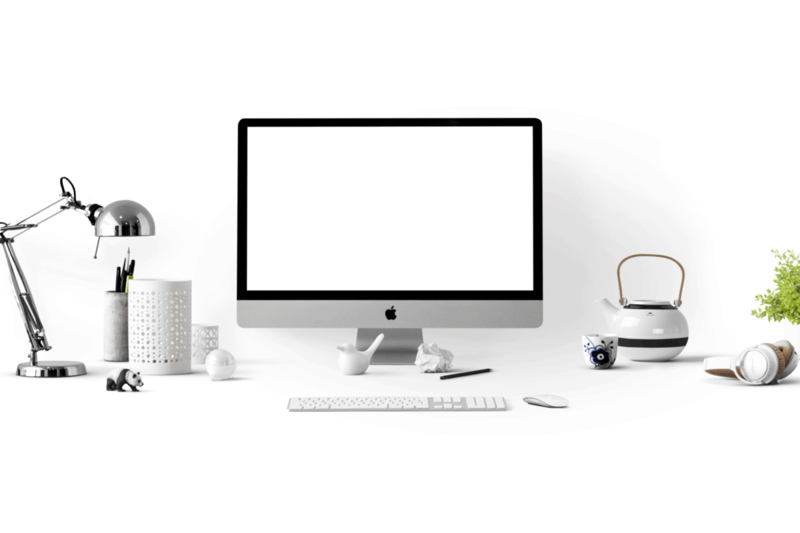 Six Figure Blogger – Designed for advanced bloggers who are looking to branch out and start making their own digital products and courses. We got through the first couple of modules and quickly felt like we had already received the knowledge that paid for the course. Learn everything you need to know about figuring out exactly what products and courses to make for your audience and the step by step process on how to sell it to them. If you are interested in starting your own blog, we have a step-by-step tutorial which will walk you through everything you need to know. 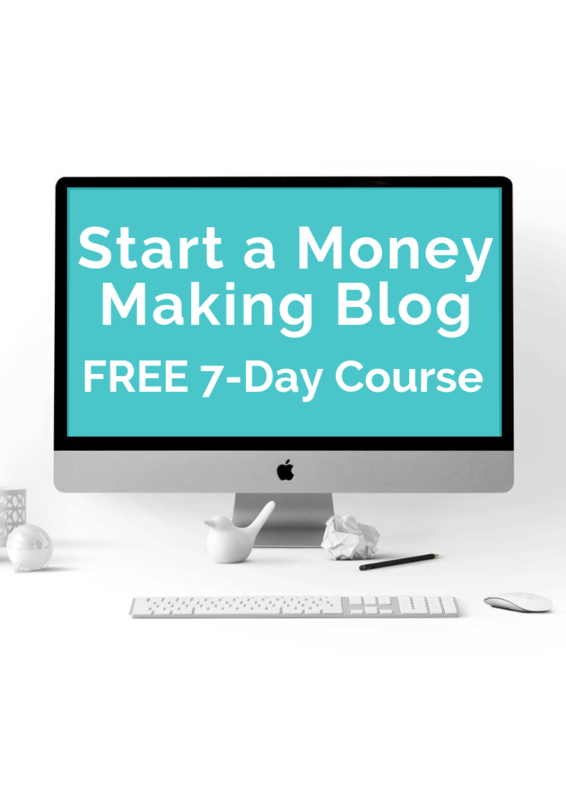 We also have a FREE 7-day blogging course that is packed to the brim with the incredible blogging knowledge to help you launch and run a successful money making blog. We also reached out to Bluehost and talked them into an offering our readers an exclusive discounted price on their web hosting services. For a limited time only, you can start your own blog for as little as $2.95/month! Not only that but you will receive a FREE domain name. This is an incredible value so head over to Bluehost now and sign up. We also invite you to join our private Facebook group Blogging with Purpose. It’s a fast-growing community designed to help you make a full-time income working from home. We help motivate, guide, and inspire bloggers to blog with purpose and change the world! Great collection! I’m also a full time blogger and I would consider my biggest mistake to be using a pen name when I first started blogging, which was 11 years ago. I had no idea how important networking and connecting with other bloggers would be, and using a pen name made it awkward and more challenging than it needed to be. Yea that would make it tough! Networking is absolutely HUGE in becoming a successful blogger. Great list from great bloggers. For me it’s like a game of trial and error. I rank well but not near the numbers I want to be. Formulas of success seem to change but as long as a blogger finds their own formula it works in the long run. That’s spot on! Everyone has a different content strategy, drives traffic differently, and monetizes their blog differently. Learn from others but find your own formula. This is advice from some of the best of the best! They all share the “hustle muscle” :] Although I’m not a full-time blogger (yet) it’s just encouraging to know everyone pretty much starts in the same way and the path to success looks different for everyone…just have to keep moving forward! Great post! Absolutely just have to keep pushing through, learning each day, and improving. Keep up the hustle! Inspiring. I wonder how long they had been blogging on average to start seeing a sizable monthly income. That’s a great roundup idea. How long it takes bloggers to make their first $1,000. Great advice and round up of bloggers. It’s nice to know you’re not alone. Hey Jane, so glad you found our roundup useful! This is a fabulous article loaded with valuable information and insights. I Just started my new blog (www.bizandtravelblog.com) and have so much to learn. I am excited to look at your recommended courses. This article is a blessing! Thank you!! Awww Virginia! So glad you found it so valuable. Glad we can help you along your blogging journey. Definitely check out our recommended courses. NO way we would be where we are at today with our blog without investing in those courses. I love this list! I just read through every single one and particularly loved Holly and Greg’s comment, haha! Yea they had some really good and honest thoughts. When your first starting out blogging there are like 100 voices you are listening to and it just drowns out what you need to do for YOURSELF. Everyone has a different path, no two blogs are going to be the same. Loved this article! I’m happy to know that I’ve interacted with a lot of these lovely bloggers here – it helps me feel like I know I’m on the right track to blogging success!! Learning the secrets of these successful bloggers is SO valuable to new bloggers! write your story, tell your message. So well said! I agree, we shouldn’t compare to others. Wonderful post, Thank you for writing this! Glad you enjoyed the article Heidi! I’m wondering what is meant by the term “tripwire”? Is this a conversion tool for getting people to sign up for your newsletter/product/service? A trip wire is a one-time offer that someone gets after subscribing to your site. It’s a great way to offer a new subscriber a product at a very discounted price. It builds trust, makes money, and get the subscriber use to being a paying customer. It’s a big learning curve haha. We felt the same way when we started. How inspiring is this article! To hear other bloggers stories and find yourself in some of them! Absolutely! So much to learn from all these awesome bloggers. I’m not so new to blogging, but very new to the idea that you can make some money doing it. I am just putting together the ideas that I need to get a blog that is interesting enough for people to want to see it. I haven’t figured out the monetizing part yet. I have 1.5 years to retirement, so that’s my timeline.